Soft and romantic was the theme for Brittany and Brock’s elegant garden wedding earlier this spring. 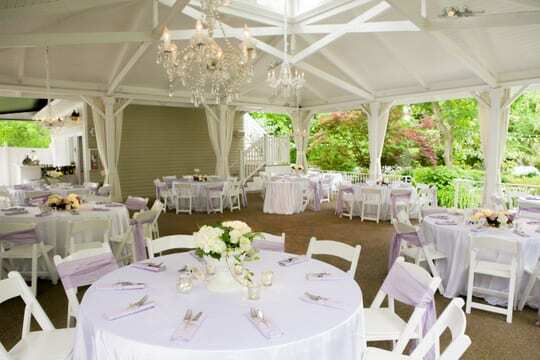 We focused on mostly white decor with accents of lavender. Surrounded by our lush, late spring gardens, this was the perfect setting for a timeless garden wedding. Miller’s Florist provided the elegant florals – hydrangea centerpieces, white and purple flowers for the bridesmaids and the bride’s gorgeous bouquet. 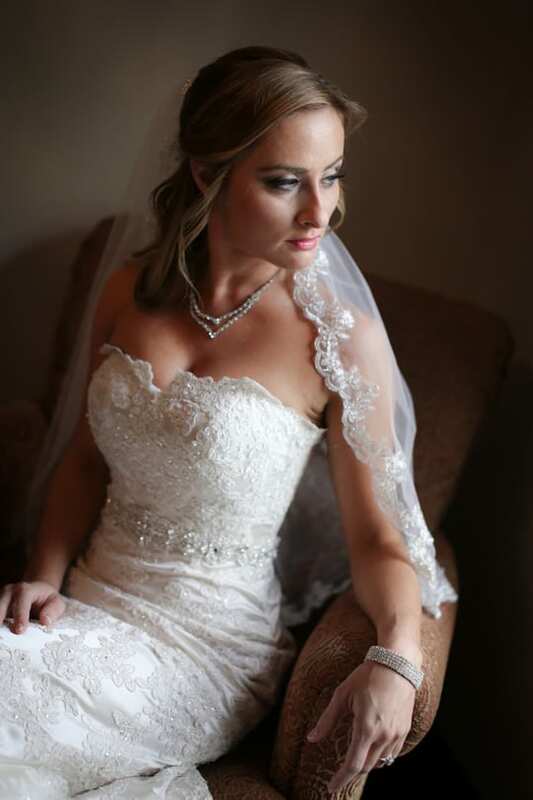 Brittany looked stunning in a gorgeous ivory lace gown by Essence of Australia while her groom, Brock was looking dapper in his sharp gray suit. Thanks to Chrissy from MagnifyU Photography for sharing her pictures of Brittany and Brock’s big day – we hope you enjoy!